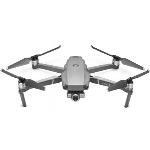 DJI Mavic 2 Zoom Expert Reviews - Read Reviews and Buy Smarter Online. Verdict: I'd point customers looking at the Zoom to the DJI Mavic Air. When we reviewed the $799 Air we thought that it was worth it to spend a little bit more on the Mavic Pro Platinum, which debuted at a lower price than the Mavic 2 Zoom. Verdict: You might have expected, given the extra zoom facility, the extra sensors and new design, that DJI would whack a huge premium on the DJI Mavic 2 Zoom. Amazingly, though, it's the same price as the original Mavic Pro. Verdict: Nice pictures, videos, inteligent modes looks cool, flying time 31mins depending on wind, I am happy with it! Verdict: This new addition to the DJI collection is worth the wait and value for my money. I am enjoying owning this and play around with the zoom capabilities. Superb and looking forward to some accessories to come out. Verdict: The fly more kit is excellent, save you money at the same time, give you more flying time with extra batteries. The only thing I wish is that the bag or case would have more protection in the event it slips or falls to the ground while carrying it. Hopefully DJI can improve that. Verdict: Great bit of technology, do your research before purchasing not often do you drop a large amount of dollars on an electrical item like this. Verdict: Great,a very useful bag,and everything you need for your your Mavic 2 quad-copter!buying these items individually will cost far more,and the four battery charger is very convenient. Verdict: As a current user of DJI (Phantom) the DJI Mavic was a breeze to pull out of the box and get in the air. The simplicity of the control panel was very refreshing. No more big box to pack around. The drone is much quieter than the Phantom. The zoom is going to be a great new feature.